Indian airlines ferried over one crore passengers in May, setting a new "record" for maximum number of passengers flown in a month domestically. IndiGo's Rs 1,015 offer is applicable on Bagdogra-Guwahati route. Budget carrier IndiGo is offering fares from Rs 1,015 on select routes, according to the airline's website. Airlines have been offering low fares for the July-September season, which is typically a lean season for airlines. IndiGo's Rs 1,015 offer is applicable on Bagdogra-Guwahati route, for example. IndiGo's website shows Rs 1015 fare available on Bagdogra-Guwahati route from July onwards. 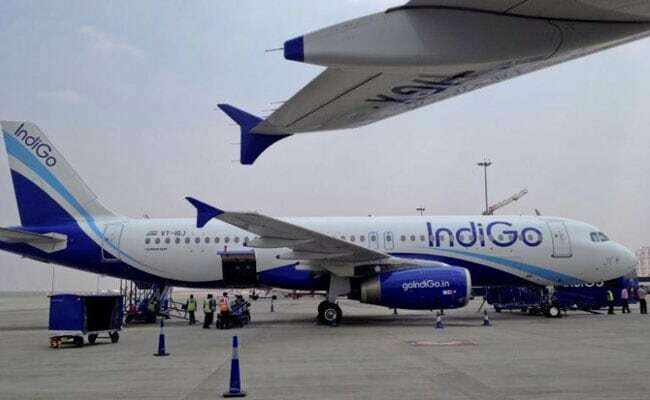 Other routes where IndiGo has come up with discounted fares include Chennai-Bengaluru Rs 1,119, Jammu-Srinagar Rs 1,148, Delhi-Jaipur Rs 1,189, Coimbatore-Chennai Rs 1,220 and Delhi-Mumbai Rs 2289. Low fares have sparked a strong interest for off-season travel. Lucrative offers and discounts are making off season travelling more popular as there was 27 per cent growth in airline searches for domestic destinations for this monsoon compared to the same period last year, as per online travel agency Cleartrip. 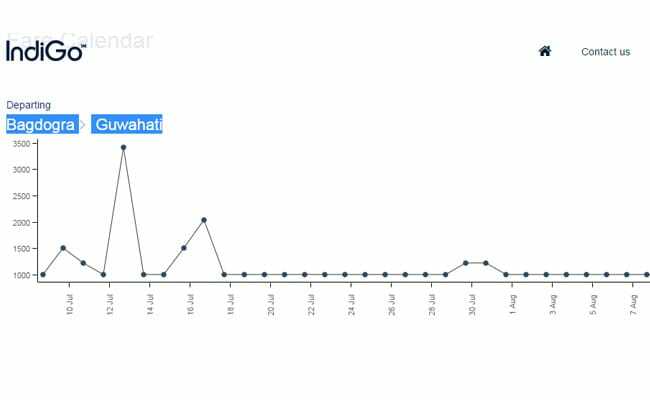 "The average daily searches for airline bookings grew by 27 per cent for domestic and 15 per cent for international destinations in May 2017, when compared with the sale period in May 2016," according to data collected by Cleartrip on its platform. The low fares will help to spur further passenger traffic growth in the domestic market, say analysts. Indian airlines ferried over one crore passengers in May, setting a new "record" for maximum number of passengers flown in a month domestically, according to released data. As per monthly traffic data released by the Directorate General of Civil Aviation (DGCA), Indian airlines carried 101.74 lakh or 1.01 crore passengers last month as compared to 86.69 lakh passengers in May, 2016, registering a growth of 17.36 per cent in domestic air traffic. Passengers carried by domestic airlines during January-May 2017 were 465.87 lakh as against 396.04 lakh during the corresponding period of previous year, registering a growth of 17.63 per cent.